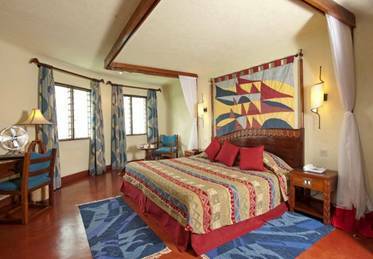 This lodge is located on the edge of the western escarpment of the Rift Valley. Exhilarating views of the lake will attaract your attention. The lodge consists of 100 guestrooms each with a stunning view of the lake. It bears the African style decorations. You can enjoy game drives as well as photographic safaris & bird viewing. Lake Manyara Serena Lodge is built on a high edge of a towering terracotta escarpment. 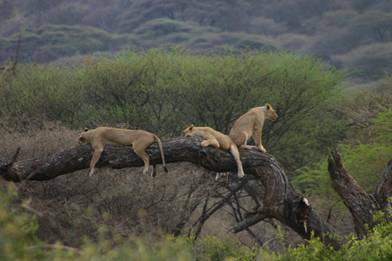 Breathtaking panoramic views over the alkaline water of Lake Manyara are experienced here. 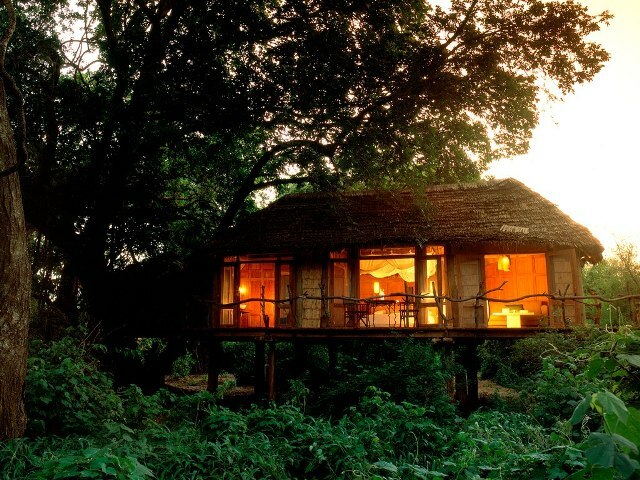 The lodge is 130 kms from Arusha, it is about 2 ½ hours drive at leisure. There is an airstrip overlooking the lodge.